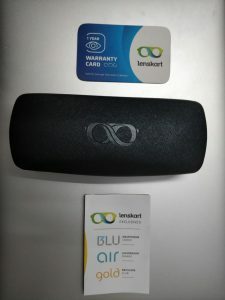 Okay, folks, I recently went ahead and tried out Lenskart, a popular Indian spectacles and eyeglasses store, that works both online and offline across multiple cities. Don’t get me wrong! But there’s undoubtedly something in that which led me to write this article and let you know about my honest opinions after using it. Today’s article is purely accidental and unplanned. I didn’t know I am going to write about something like this even a week ago! And, at the same time, as I am writing it, I don’t know how it will go. I generally always search online before buying any product. But, when I searched about Lenskart Reviews, all I got was purely average to negative reviews. And my first impression was to avoid them! But then again, they were running some reasonable offers, which finally prompted me to try them out. And, trust me, I am glad I did. How Lenskart gained my Attention? I recently visited my family ophthalmologist for my yearly eye checkup, and I found out that my eye power changed and I need to order new glasses. That’s when I made up my mind to choose a new frame altogether. For most of the good frames within budget, they were charging from around Rs1200 to Rs2500 for the frame alone! 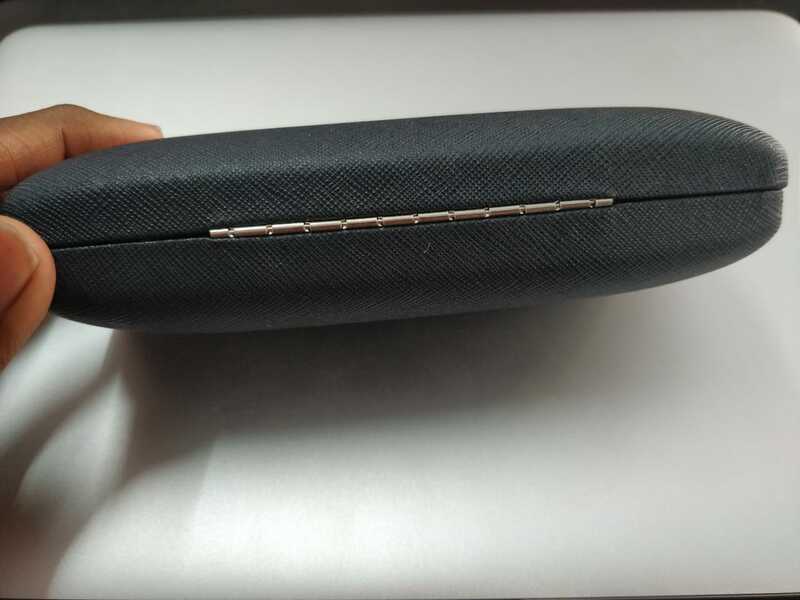 Yes, there are some extreme budget-friendly frames available under 1k, but they had some or other flaws, either they didn’t look good or were not made with premium materials. You generally look for a frame that doesn’t get scratches over time, doesn’t break if falls, and can withstand the minimum resistance. 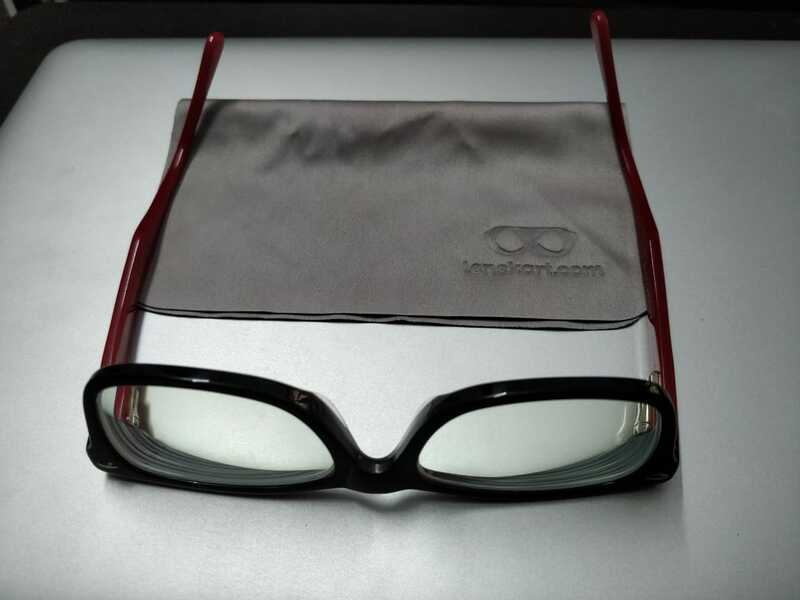 Some cheap metal frames were available which were bound to get scratches. The fiber frames were premium and charged higher. There were separate costs involved in making the lens! And that varied from shop to shops. It went up to another 2k if you go for the most premium options available there. To state in short, to settle with the extreme bad options, you need to shell out around 1.5k. To end with budget-friendly good frames, you need to shell out around 2k-3.5k. To go with premium frames, you need to shell out more! That’s when I made up my mind to go and look for online options. The most obvious options were Coolwinks and Lenskart. 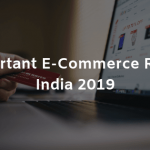 Coolwinks ran a lot of 100% cashback offers in 2018 partnering with PayTM, Amazon, PhonePe, Zingoy, etc. and might be running even now, and I brought quite a few frames from them. And they turned out to be unsatisfactory for me. Now, don’t get me wrong, Coolwinks isn’t a bad company. What happened was that most of the good frames were already gone by the time I decided to try out their 100% cashback offers. So, had to settle with the available ones. And the second reason is the lack of trying the frames in hand. I believe you can’t get the same experience from just looking at the frames. Several other aspects need to be considered, and the best choice is always to go into some shop and try it out yourself. So, lenskart seemed the most obvious solution. 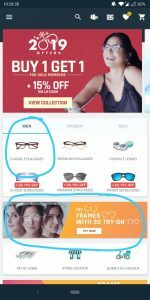 Lenskart is running some sales under which they are offering Free Frames. You only pay for the lens. Usually, a frame costs somewhat between 1k to 1.5k for budget frames. The lens cost somewhere between Rs800 to Rs1500 depending on the type of glass you choose to buy. Usually a blue-cut lens (their most premium lens category that blocks out blue-rays) with frame costs around 3.5k. 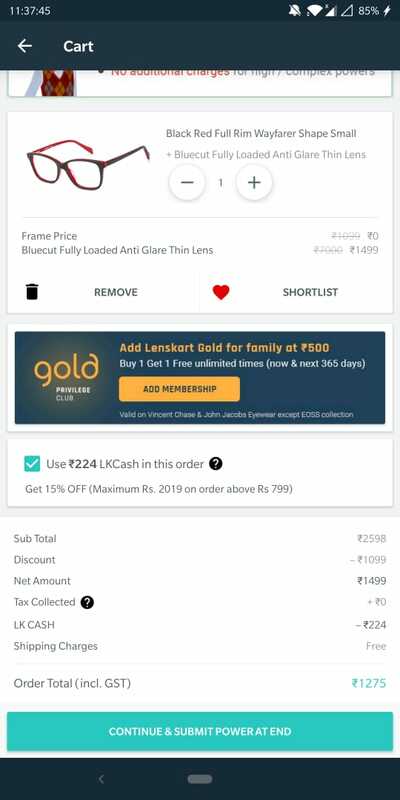 If you have a Lenskart GOLD Membership (which costs Rs500 a month), you can order two frames for the price of one. That means 3.5k for two plus taxes. These are the usual prices. Now, let’s move on to the offer prices. Under the End of Season Sale, due to a free frame, the overall cost of grabbing a lens decreased drastically. So, you see, the most premium Blue-Cut lens + Frame got a 2k price cut, and it seems a great deal to afford. 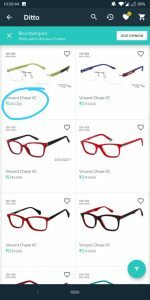 How to search for Frames under the End of Season Sale? Okay, it gets a little tricky over here. You can’t just open the app and browse to the sales page right away. You need to do some digging. But, well, I am here to make that easy for you. 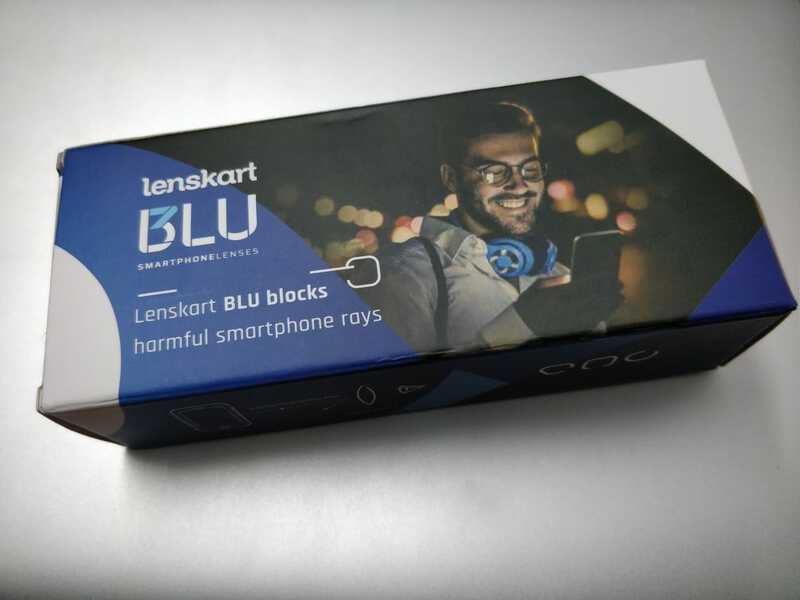 First, make sure you download Lenskart App and signup. Use my Referral Code: NIRMR82T. You will get 2019 LK Cash which you can use for your purchases (up to 15% per order, which is still an additional saving). After you sign up, you will get to this screen of the app. Start from these two areas I circled. Don’t look for other banners. You will come across different offers there, but I assure you, these are the places where you will get the real gem. I recommend using the 3D Try On. 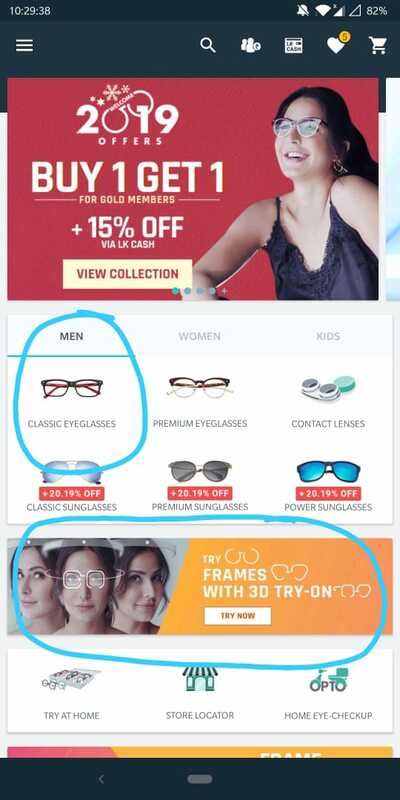 It is a place where you can click your picture and try out all the frames available on lenskart. It’s helpful because you can see it for yourself how it suits in your face. Next, you will come to this screen with a list of frames. 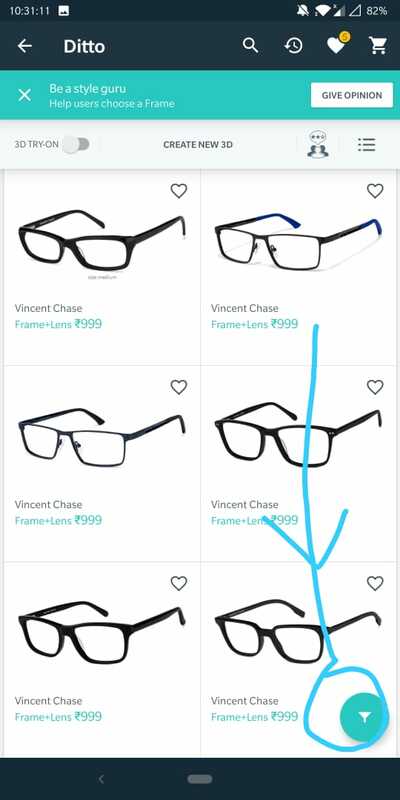 Notice all the frames are priced. We need to find the free frames from this list. 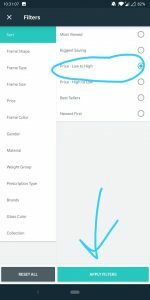 Use the filter option below and sort it according to price: low to high. You can also filter frames according to the shape, size, material, color that suits your needs. Voila, you will unlock hundreds of free frames where you only need to pay for lenses. Watch out for Lightweight and AIR tags on frame images. Those are lightweight (10-20gms). Just make a list of your favorite models by clicking on the love icon to star them. You are not done yet. Now is the time to hit your nearest Lenskart stores. Yes, stores with an ‘s,’ that is, more than one store. Drum Rolls! Here comes the element of surprise! Simply put, not all stores have the same stock! So, you might need to visit a few stores to get your favorite frame at a discounted rate. But, the more exciting thing is, there are a lot of (really a lot of) other options available under the End of Season Sale in each respective store. So, you might come across a similar frame to try at that store. Make sure to locate a big store and go, and make sure to visit at least 2-3 offline stores to compare and then buy (until and unless you got your desired frame at the first go). I had to go to two stores, as I suspected I might get better models on the other store, and I was right. 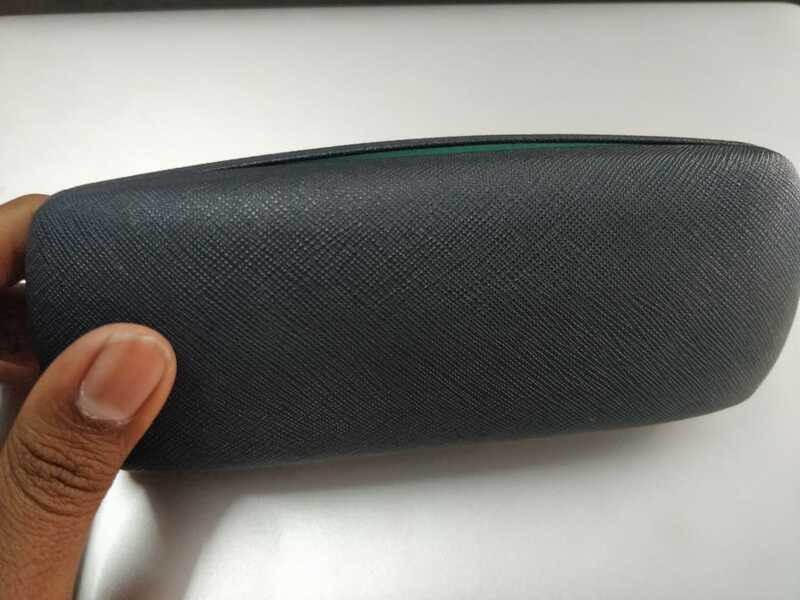 There are two methods to order from Lenskart. First, you can try out the frame you chose on the store and then place an order via the app. You will get delivery at your home. You can avail 15% off on the final MRP by using your LK Cash that is available in your account. 15% of the total cost will be applied via LK Cash, which will bring down your final MRP further. 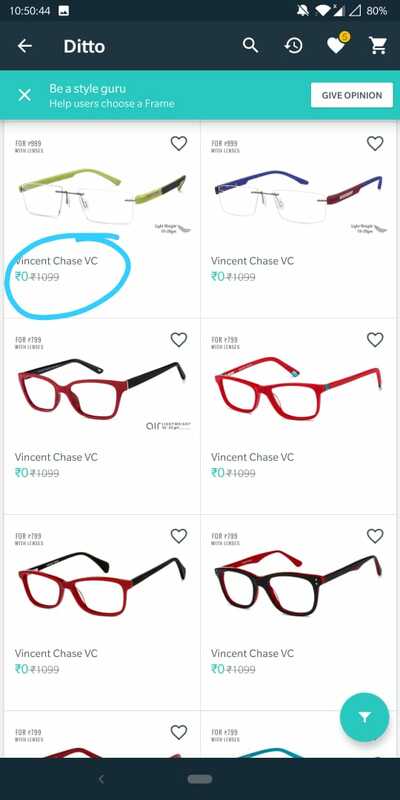 Check below for a lens + frame deal at less than 1.3k. Or, you can place an order offline at the store (mainly if you chose a different model that you got on the store itself) via your account. There you can either select delivery at your home or pick up from the store after it is ready. Remember, if you face any issues after purchasing the eyeglasses, you need to visit that specific store only, to fix it. 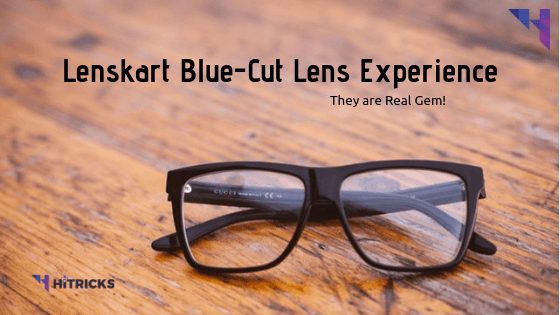 Why visiting an offline Lenskart Store is Important? Don’t order any frame without trying offline. The reason is that when we look online, we don’t get the complete idea of the experience using it. You are spending 1.5k, so you deserve to try it out. Also, if you order from a store, they will take your PD measurement over there. PD means pupillary distance, the distance (in mm) from the center of one pupil of your eye to the other. It helps to fit the frame entirely with your eyes, something you will miss while ordering online. Also, you can ask for a demo of Blue-Cut lenses at the store. They will assist you. Now wait for two days for it to be ready, and pick it up or get it at your home via courier as per your choice. Try it out and see how it goes. Blue-Cut Lens Review: Why do I recommend it? Okay, finally, the piece for what you guys were waiting for. First, let me show you the packaging! It is dope af! This is the outer packaging. Opening it, you will see the following: The Eyeglasses inside the box, the warranty card, some paperwork, and two coupons. One Coupon I got was an Rs1000 off on a purchase of Rs4000 on Lenskart. 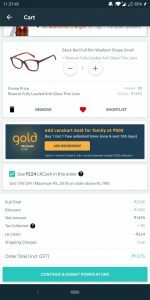 The other coupon I got was a 60% off on purchase of Rs1999 on Ajio.com. I didn’t show the coupons in the pic below. The warranty card stated that it is valid for 1 Year after the delivery. Man, the material is so sturdy and looks premium but straightforward. Well, you can test out the eyeglasses in the shop itself so that you will know yourself. Let’s talk about the lens. They are thin, despite me having around minus four power, which is good. The real gem is the Blue-Cut, something I’ve underestimated from the beginning. I usually work late at night on my laptop. And when I get sleepy, I need to force myself a bit to work more. Now, on my previous lens, I used to get a slight irritation on my eyes. It is so little that it can be ignored easily. But the annoyance was there. I have used my previous glasses for the last five years, I know. But with these glasses, I feel no irritation at all. The eyes don’t get strained with these lenses. Trust me; the difference is so significant that you can feel it. I recommend going for the Blue-Cut lenses to people like me who work in front of laptop or mobile screens for long hours, either at the office or at night. It was indeed a very soothing experience for my eyes. And I am extremely satisfied using it. 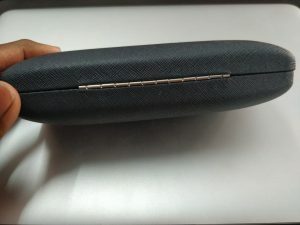 The box is one of the best eyeglass boxes that I have seen. It is strong enough to protect a good amount of resistance and survive drops easily. It has got hinges on the back that apply a clamping force to shut the boxes tightly. Looking from the bottom, the box has an extended edge that helps opening it quickly. Well, that was all about my experience with Lenskart. I guess I am buying another frame + lens since I am getting it at a highly discounted rate. 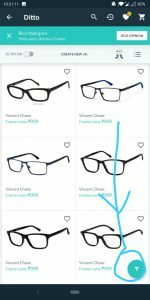 Download the Lenskart App (Use my Referral Code: NIRMR82T) and start selecting your favorite lens. And let me know how it goes for you. Always remember, visit the offline store to try your frame before ordering. It’s essential. Have further queries? Drop me a comment below! I will be happy to respond. And let your friends know about this offer. Use the floating social share buttons below (or the left if you are on desktop). 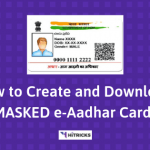 I have recently modified them, adding Whatsapp and Messenger sharing, which might help you out. And don’t trust me, see for yourself! That’s all for now. I will be back with another interesting update. Till then, stay tuned!